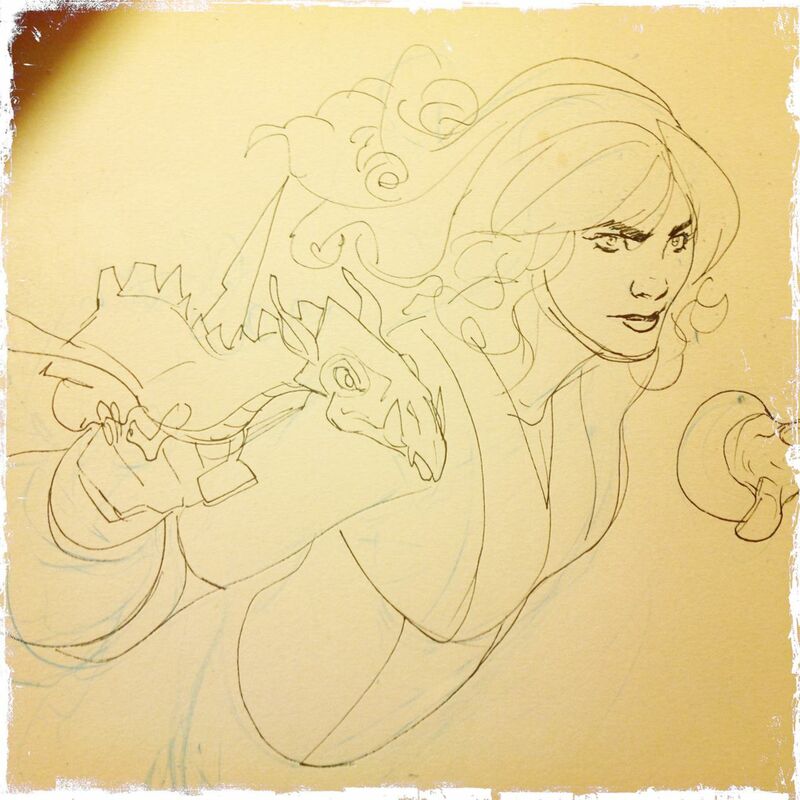 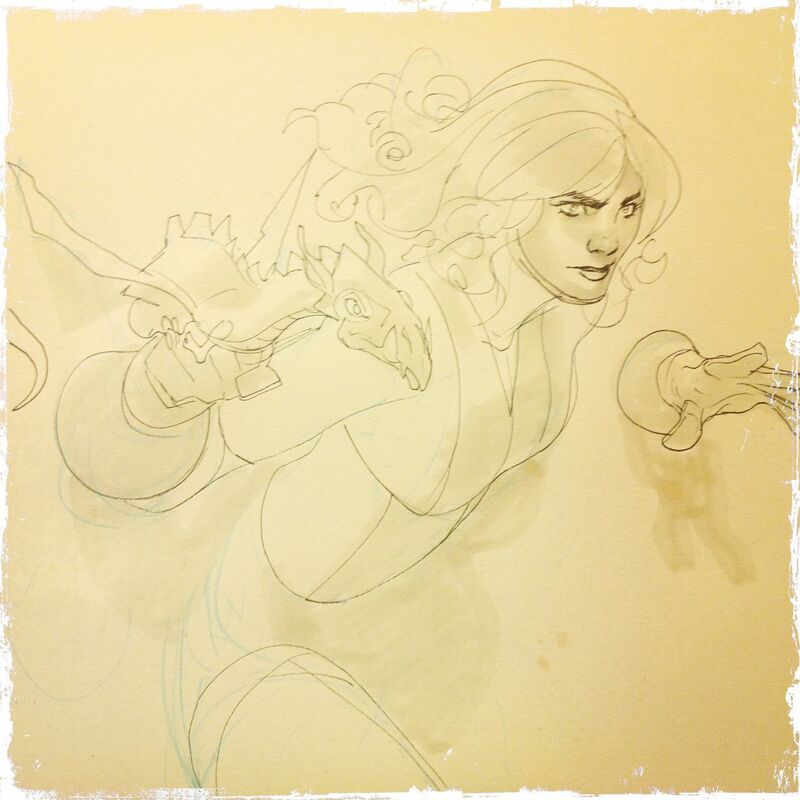 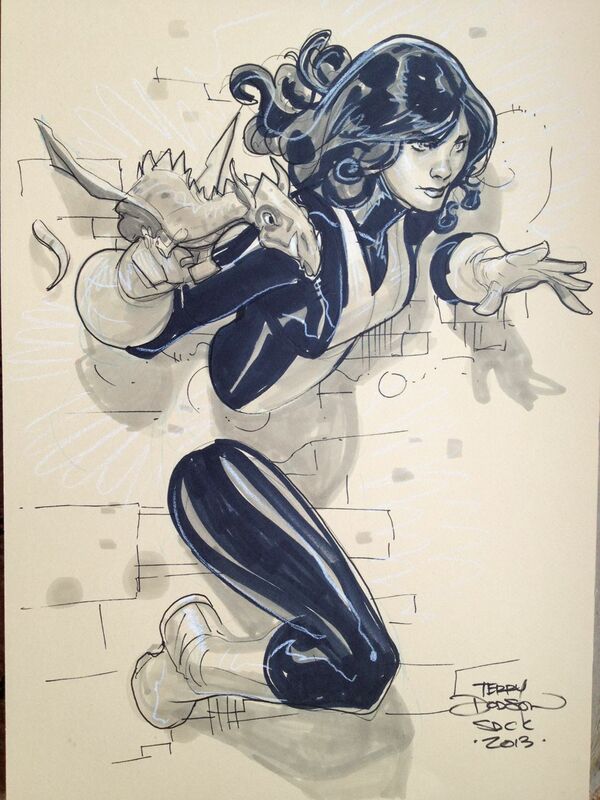 Here's a little look behind how I made my Kitty Pryde and Lockheed sketch at Comic Con Int'l, 2013. 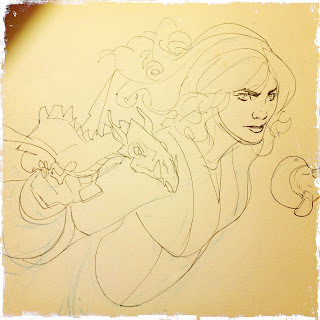 Working on 11 x16 Canson Mi-teintes Paper, I rough in the drawing with an Col Erase Light Blue Pencil. 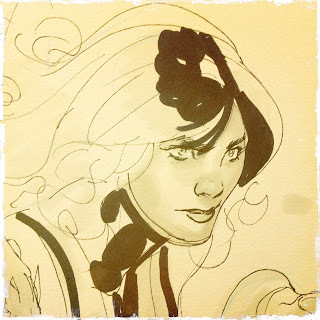 Then I go straight to "inking" the outline of the drawing with a small tipped (S, .005, .3) permanent pen (to avoid bleeding when I later use the Copics greys). 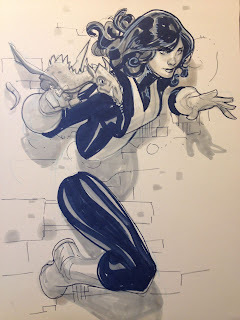 Once the drawing is outlined, I commence with Copic Warm Greys, generally on colored paper, I start with #2. 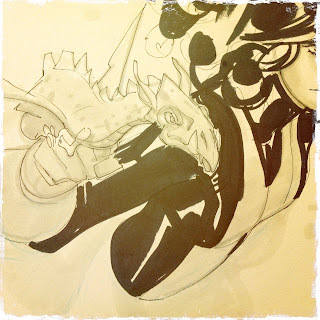 I use through #2 -#4 greys then start putting in the blacks as they are major part of this piece and alter the greys. More details with the greys- and darker - up to #6 with the shadow areas. 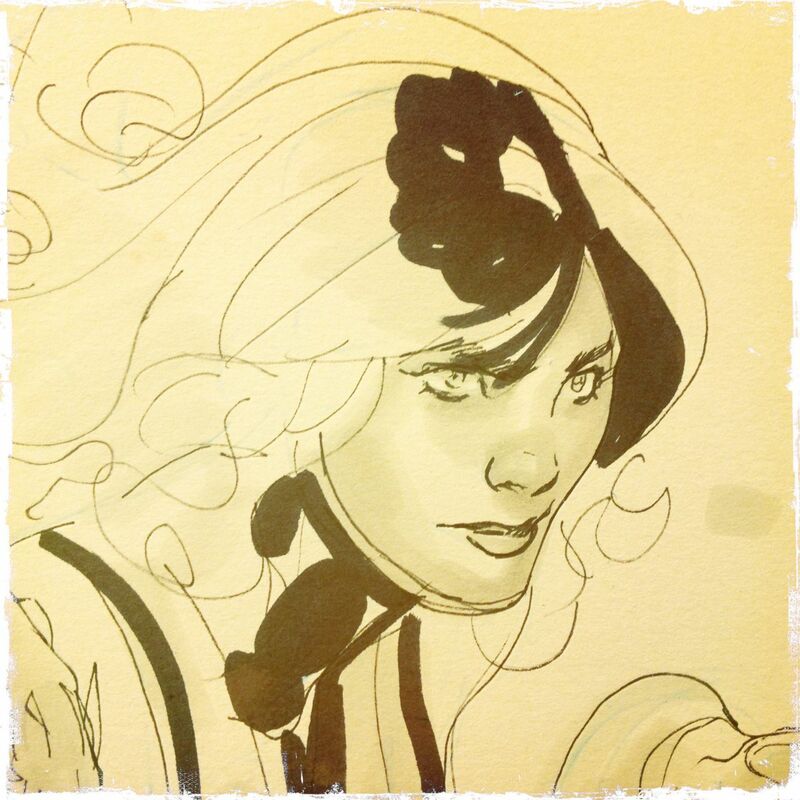 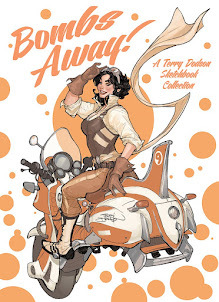 Start using a White Prismacolor pencil for highlights.